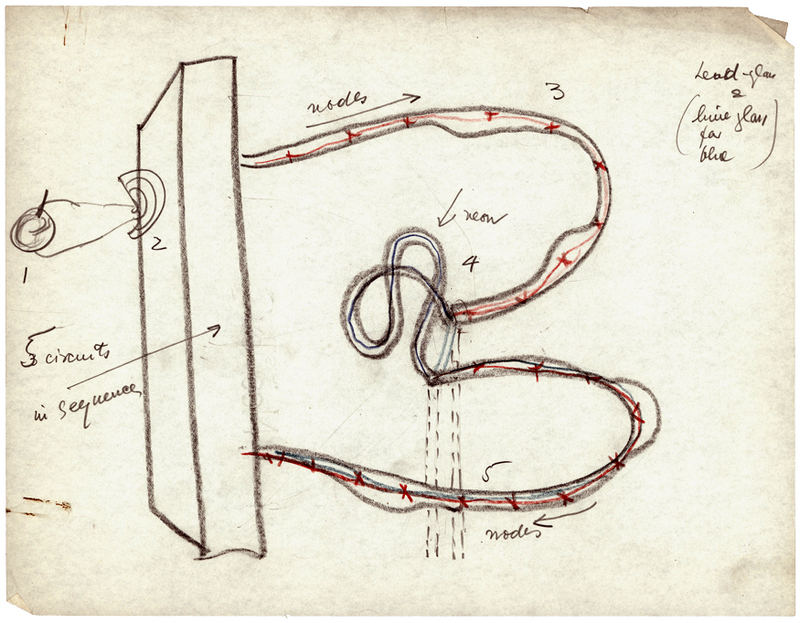 via Lebbeus Woods and (perhaps this was unintentional) W.G. 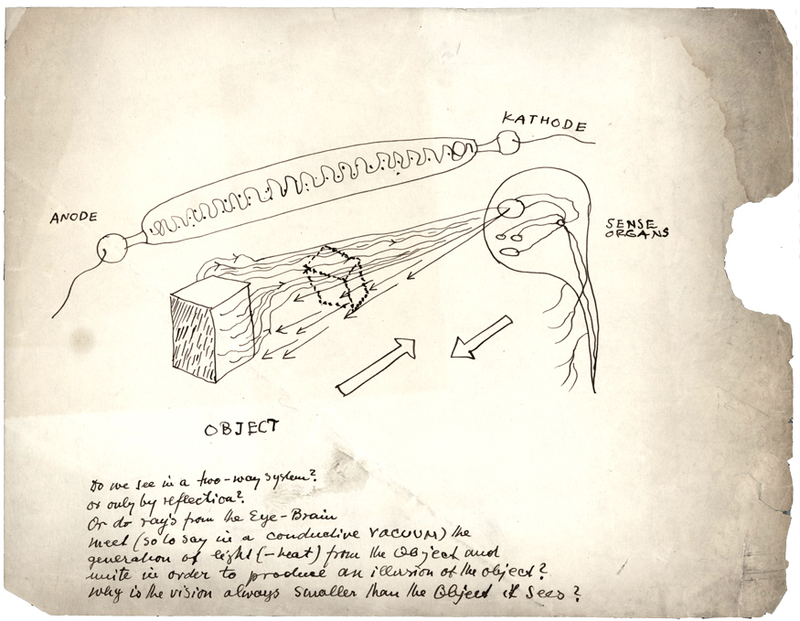 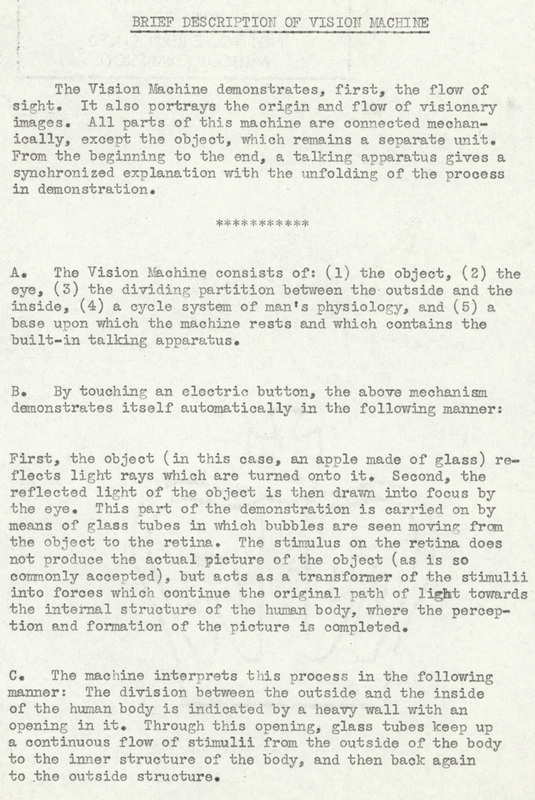 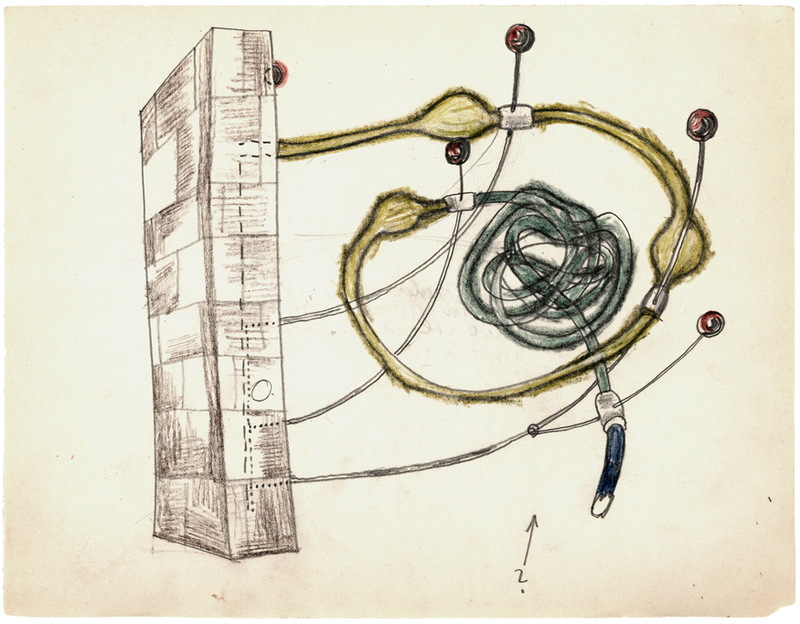 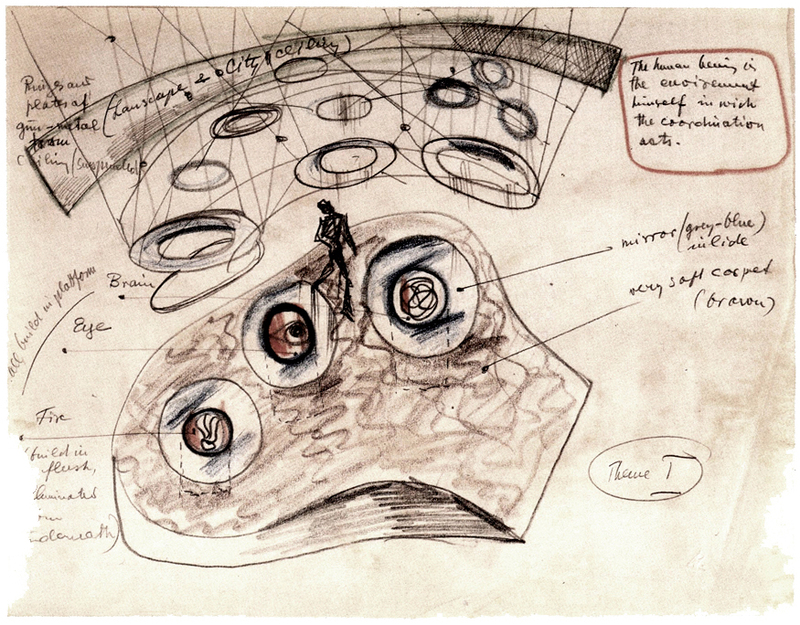 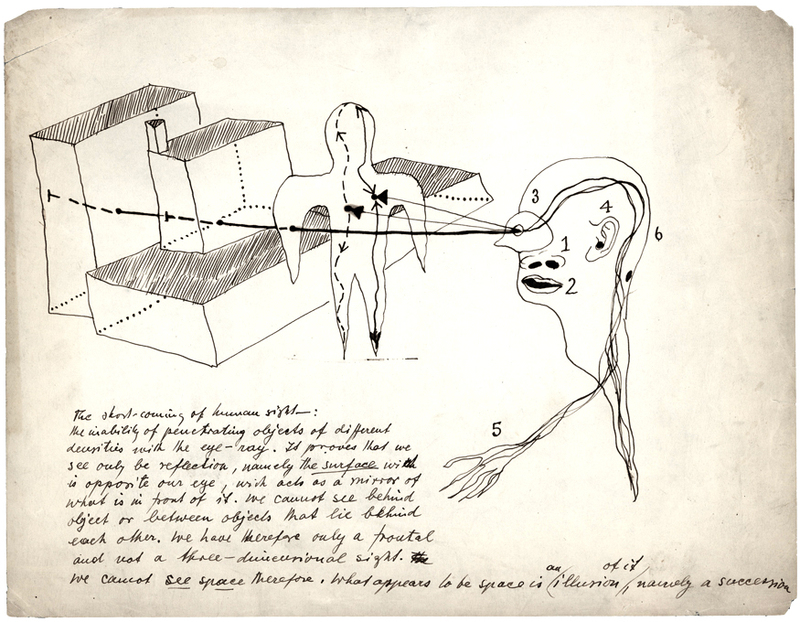 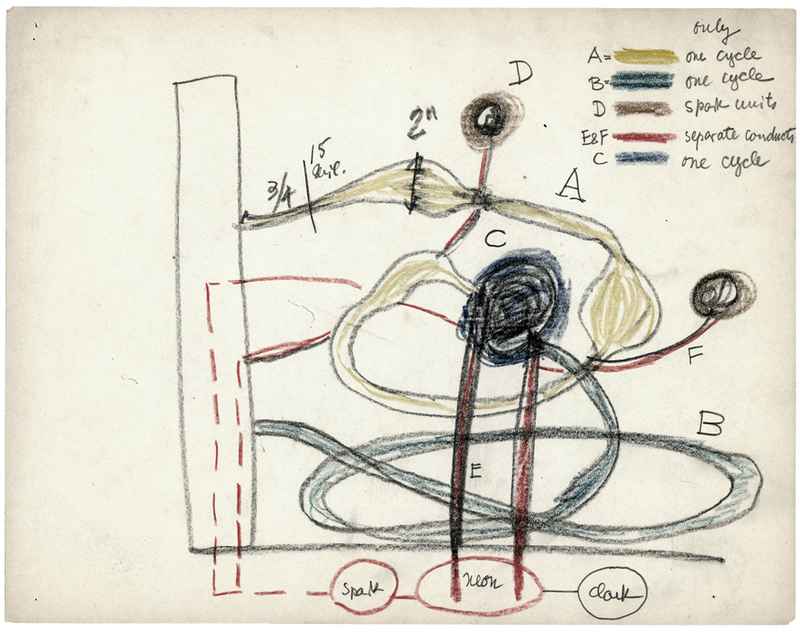 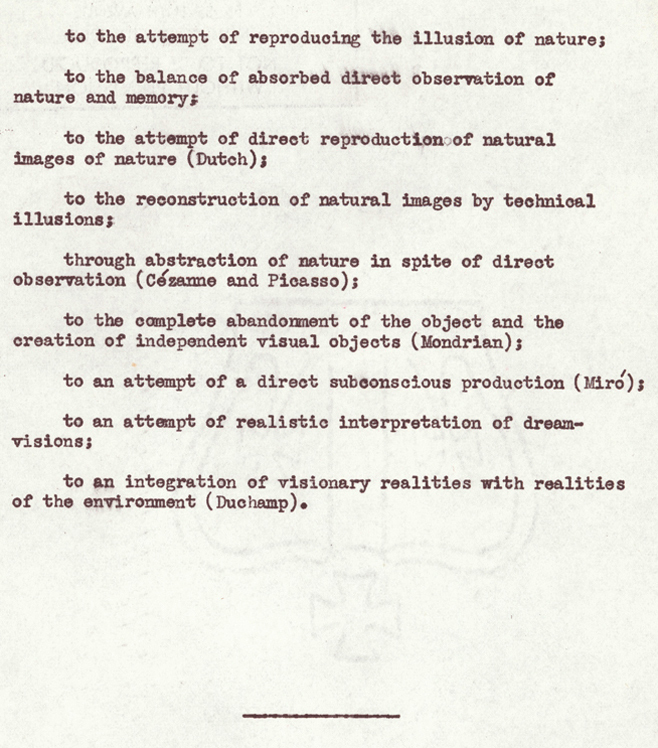 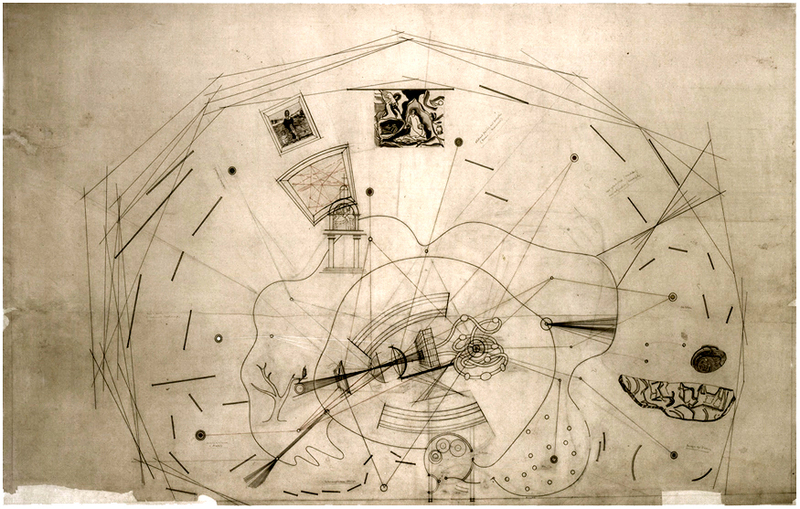 Clark, here are some images of Frederick Kiesler‘s Vision Machine. 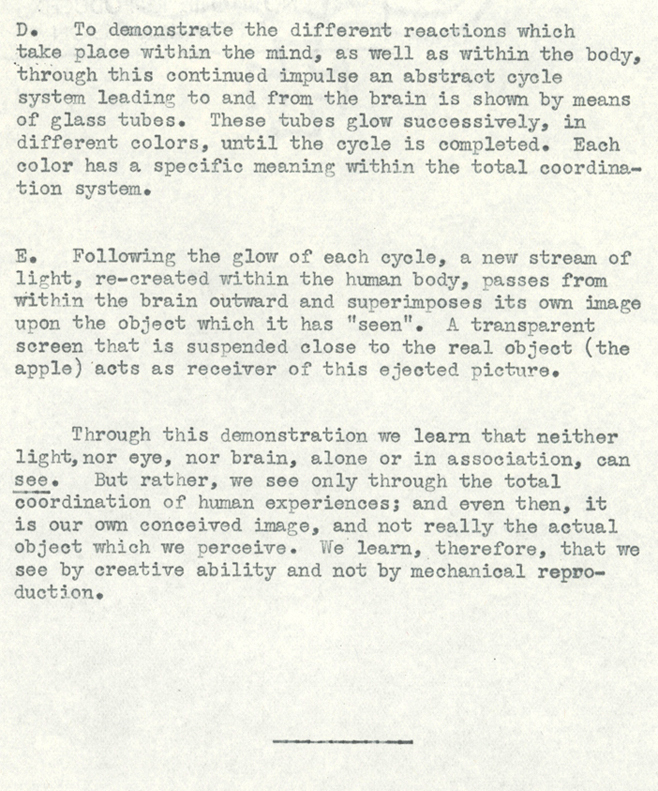 I love the ambitiousness of this attempt at seeing the act of looking. 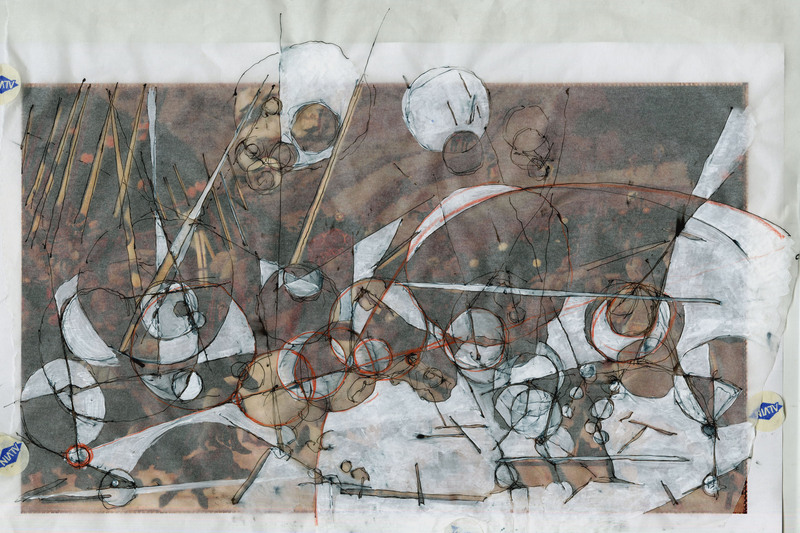 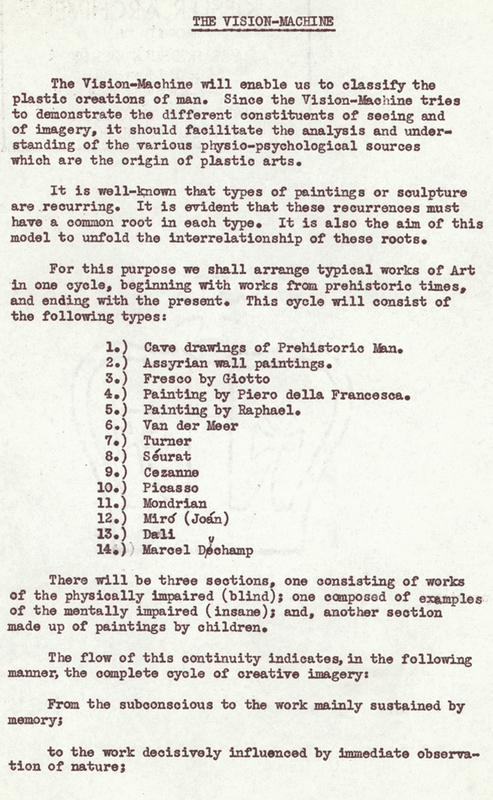 Explicitly processing and reprocessing visual information can happen in a museum setting, as Kiesler suggests, and I hope that it also happens in the work that I do in moving from painting, to Rhino, to Grasshopper, to trace paper, and back again. 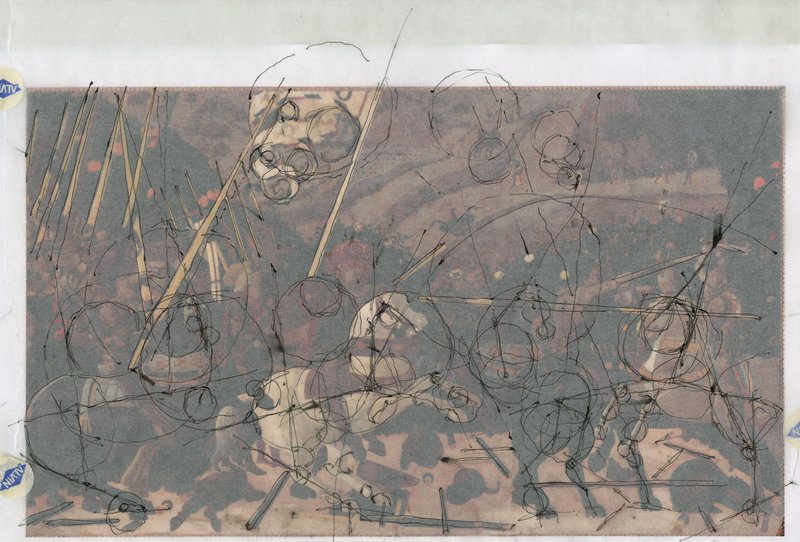 After a few weeks of playing around with the Image Sampler, I’ve got to admit that it was exciting to work on something other than a point grid for a while. 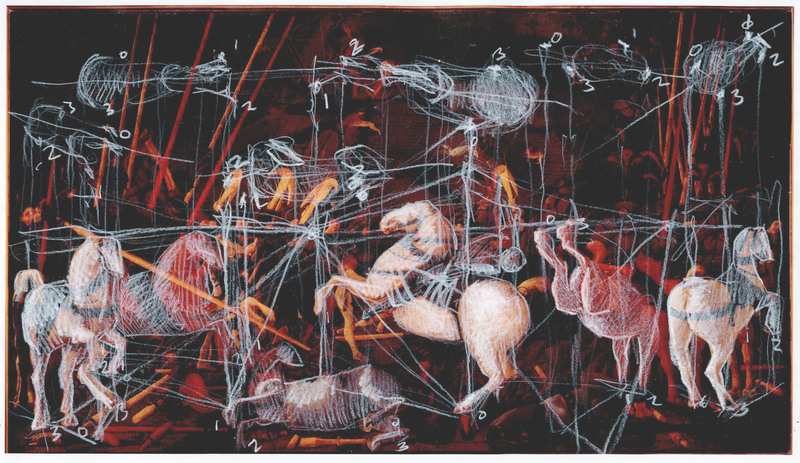 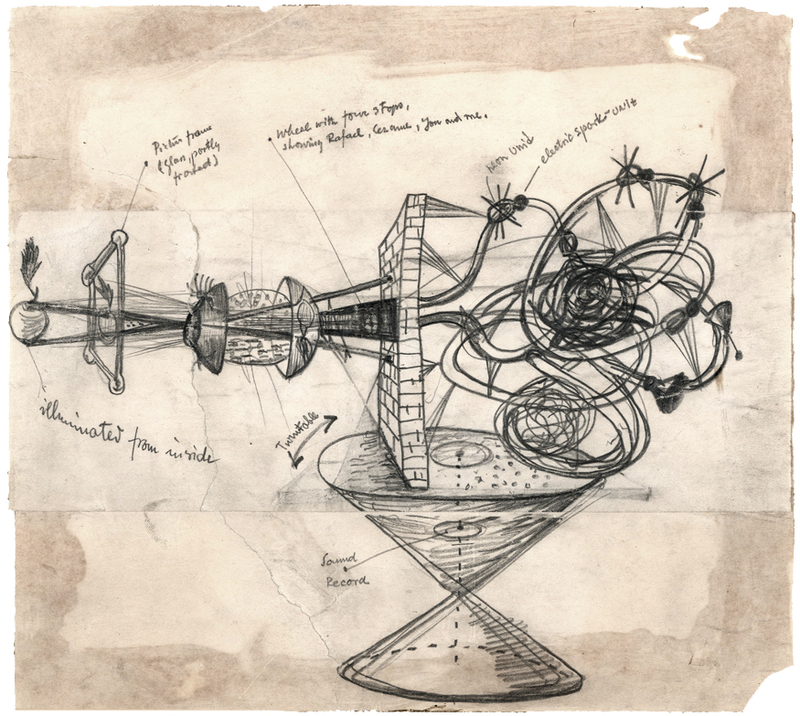 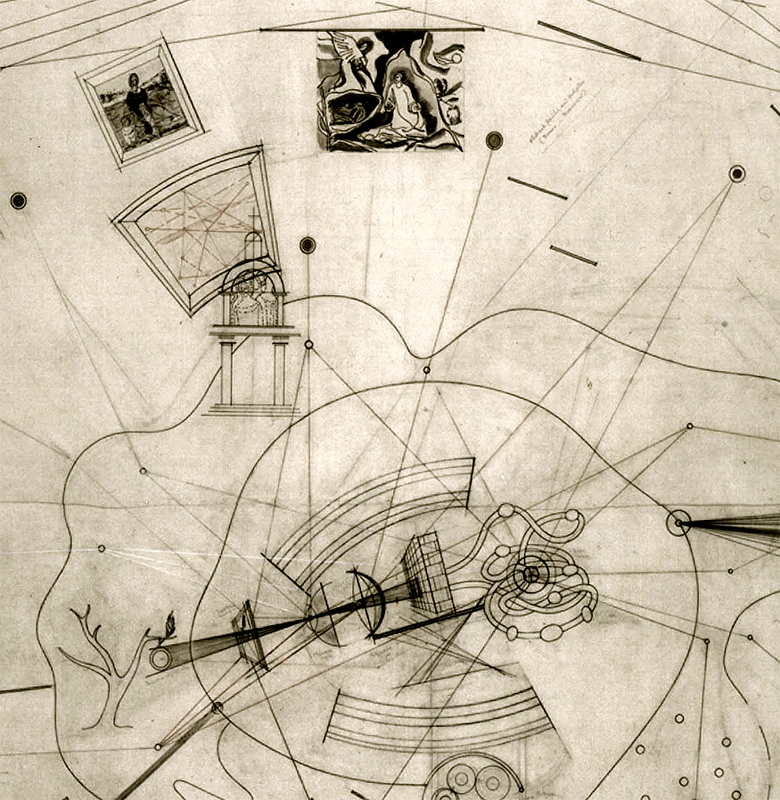 Below are some hand-drawn diagrams of the three paintings in the San Romano cycle. 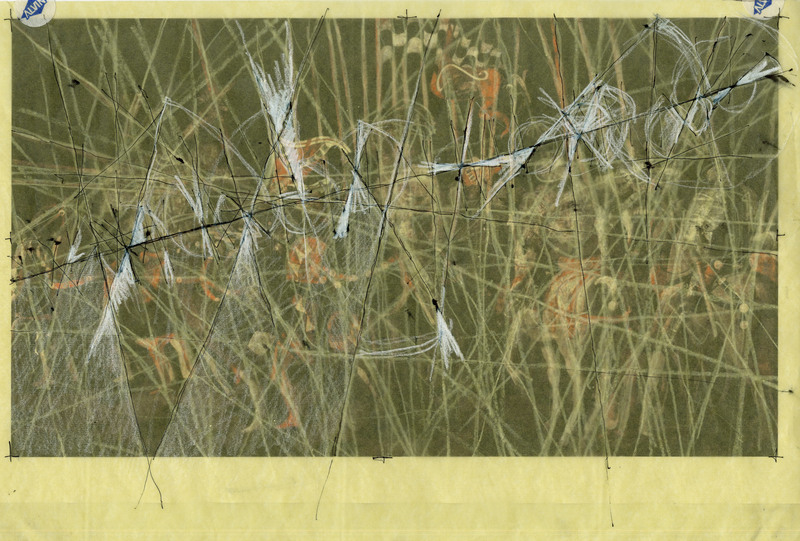 In some of the images, you’ll see that I was interested in finding underlying geometries in the paintings–something that is more quickly done by eye/hand than in gh. 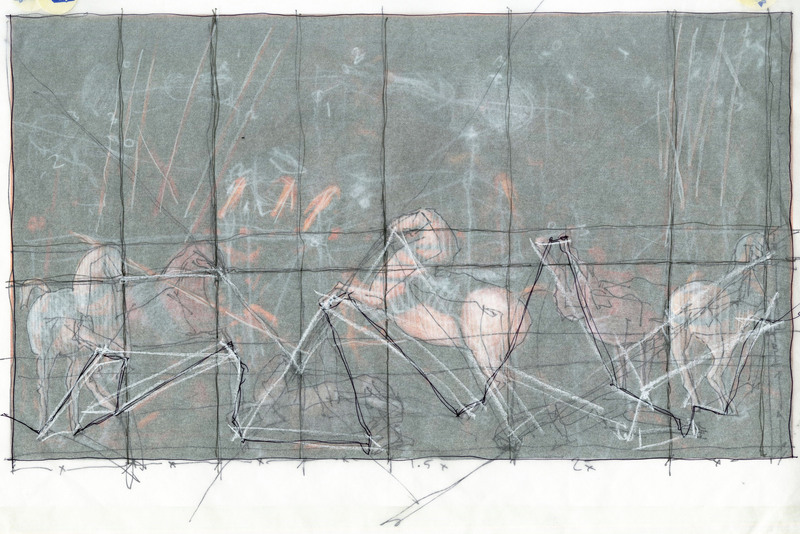 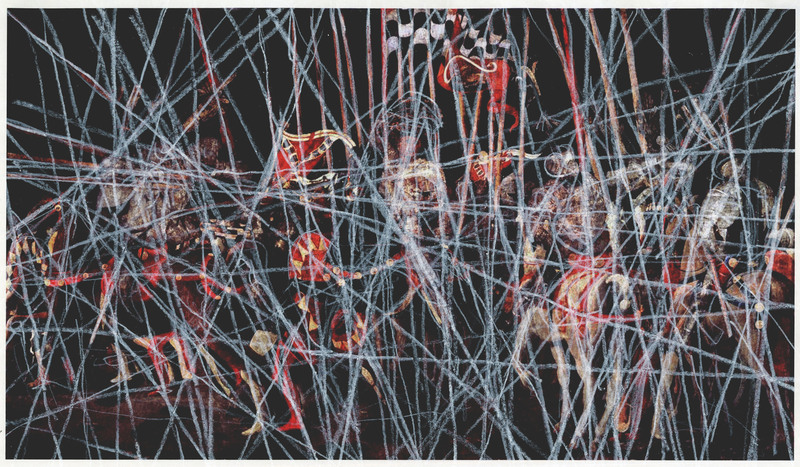 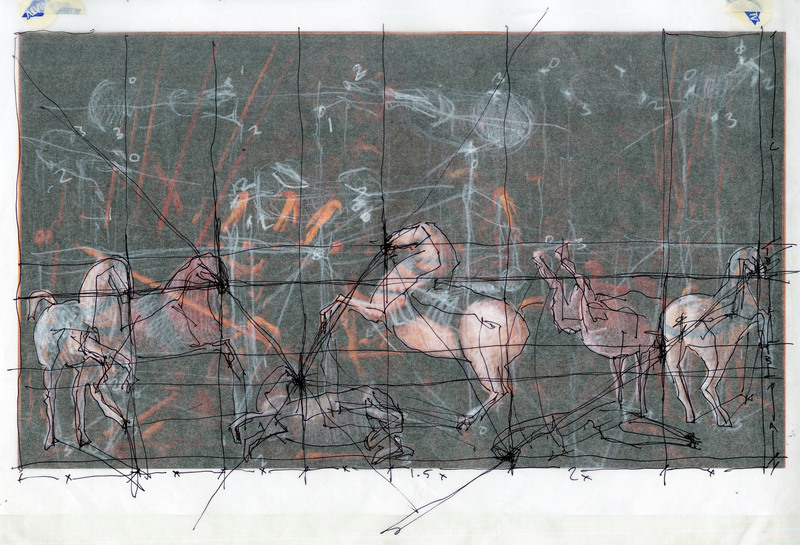 In other drawings, I took a stab at “counting” elements of the painting (a horse, in this case) as I’d imagine gh would–thinking of a horse as a sort of box-morphed object, reoriented in space over and over again.